According to the 2015 B2B Content Marketing Trends study by Content Marketing Institute there is a correlation between effectiveness and the amount of budget allocated to content marketing. The most effective marketers allocate 37%, on average, whereas the least effective allocate 16%. 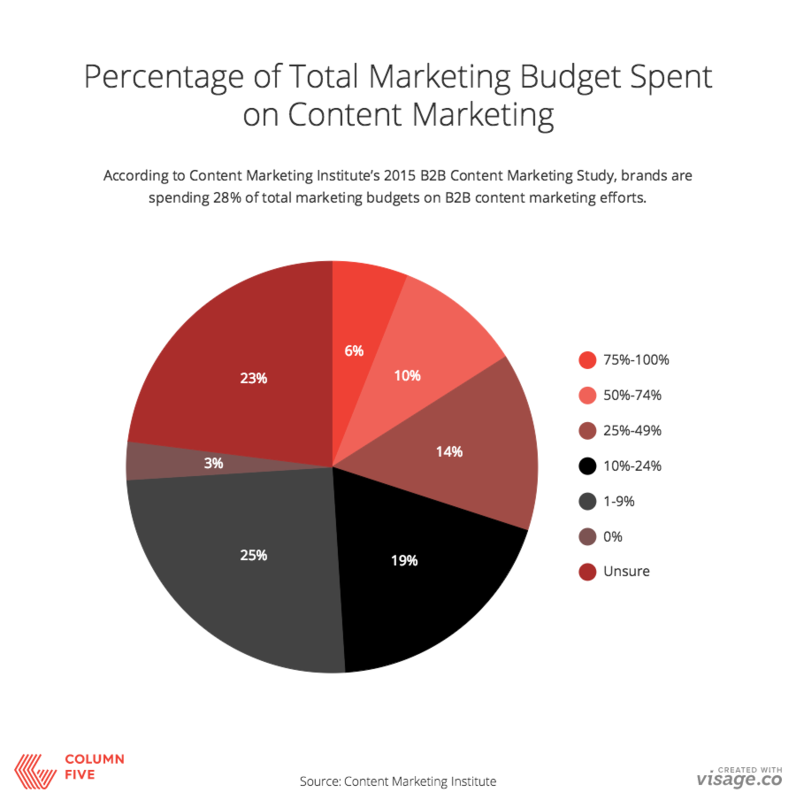 Below is a breakdown of how marketers are allocating budget towards content marketing efforts in 2015. Approximately what percentage of your organization’s total marketing budget (not including staff) is spent on content marketing?